ANTHC is always looking for ways to make our patients’ visits more comfortable. For some of our youngest patients, the Consortium has made efforts to brighten up their day, even if it’s for a few precious moments as they move through the halls of ANMC’s Inpatient Pediatrics Unit. 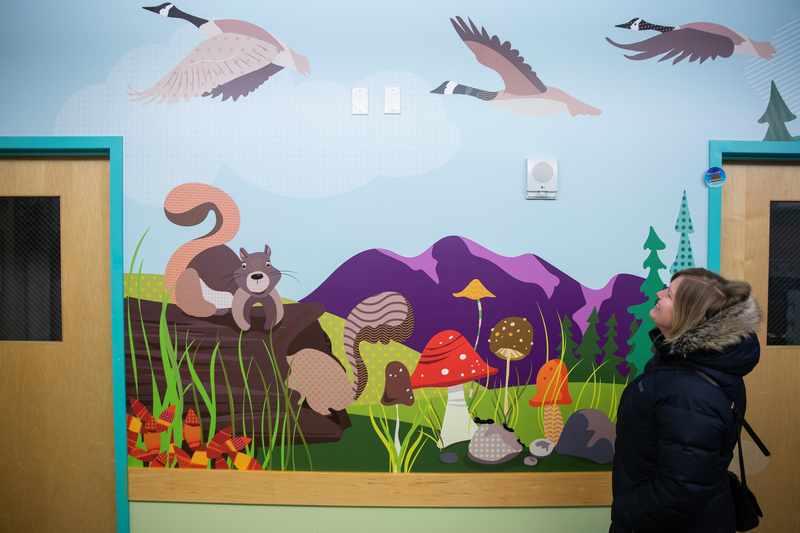 Custom, family-friendly wall graphics extend the comfort and overall experience for our young patients. These were recently installed in key locations within the department. 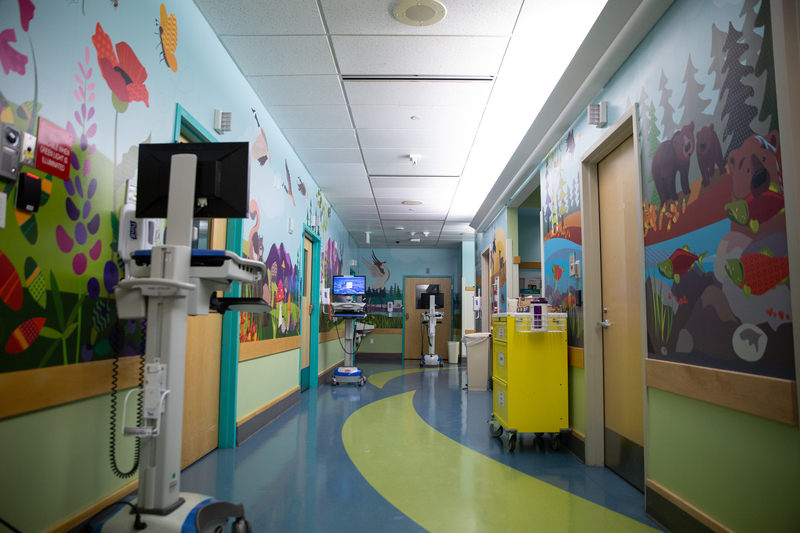 Inpatient Pediatrics was previously remodeled in 2013 to enhance the healing environment, improve patient safety, and increase the efficiency and effectiveness of the staff. 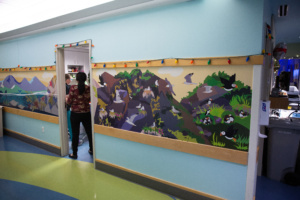 The vibrant, colorful art bounces along the hallways in the unit, much like we envision our children do when they are happy, healthy and home from their hospital visit. The murals depict landscapes and animals that inhabit the diverse regions within our state, starting in the lush and green southeast panhandle and ending at the “Top of the World” – in the Arctic with polar bears and ice floes. The graphics are printed on adhesive vinyl to allow for cleaning and can be replaced if a portion becomes damaged or needs to be changed. The art and placement were a collaboration between ANTHC’s Marketing and Strategic Access departments.